Students need opportunities to practice Global Competencies like Collaboration, Communication, Creativity, Innovation, and Influencing across networks. This is why working in teams gives them the opportunities to practice these skills and to get coaching by the teacher and others. Yet one challenge with teams is the fear that some students will dominate, while others will stand aside while the others do all of the work. While supporting teachers at a Project Based Learning school in Michigan, this challenge came to a head when a teacher team wanted to abandon using student teams altogether. “It doesn’t work!” They stated with a look of determination that one gets from being an eyewitness to seeing something go wrong in action. I started to suggest that each student needed a role, like project manager, editor, and–but the team leader cut me off by saying that they already did this, and it did not help. So, I asked them to describe what does a class session look like from the beginning to end. The leader sighed, but decided to indulge me. At the beginning of class the students gather in their teams for the initial instruction. When they start working on their project, one person gathers the necessary materials and brings them to the team. “Is that a role or responsibility?” I asked. “Are the people in this role typically the ones not helping with the project work?” I asked. Once the logistics person brings the materials. Their job is done until the end of class, when they must return the materials. 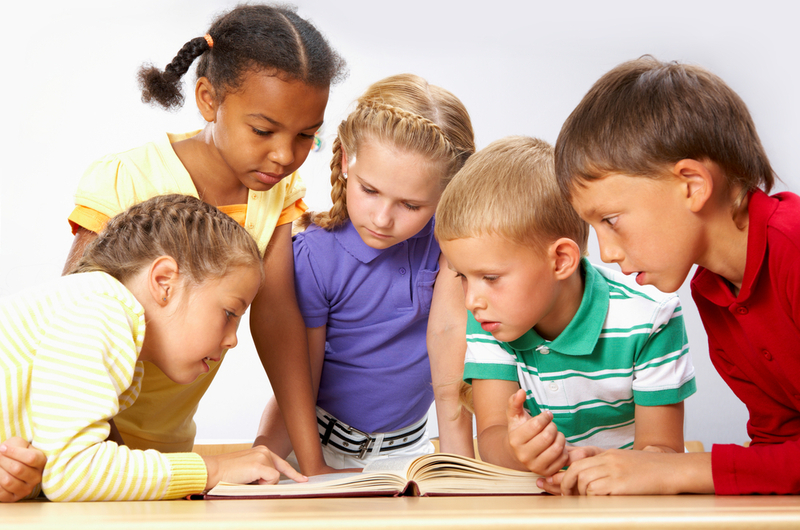 Each team member needs an academic responsibility. This gives them value and purpose throughout the learning and product work within the project. How do you ensure that every student on a team will be active and contribute to the ongoing work and final outcome? One part of the equation is to ensure that every student has an academic responsibility, or a qualitative role. Whether the learner is gifted, struggles with the subject matter, or has an IEP for Special Education support, they need to believe that they can contribute. Also within the team, the students have to believe that each person has something academically to contribute. Learning Preferences Cards (PDF handout link) is a great strategy for collecting perceptual data about students’ strengths in subjects and approaches to learning. Students self-evaluate so that their perspective is recorded about themselves as learners. Once completed, teachers can add annotated information about the students that further informs them on team formations that can lead to success with Global Competencies and learning standards. The next steps will occur on the front of the card. In the center, students list 3 to 4 interests that they have outside of school. This could range from recording themselves as they play video games to talking or texting with friends. This information helps for showing context of subject matter to things that matter to students. Also, when designing projects and lessons, I’ve created learning experiences around the interests of 1-2 students in the class. There are those “Triage Patients” who if we do not make learning meaningful, they will fall further and further behind, until they eventually lose faith in the education system and stop trying. In the top left corner, students list the subjects and skills. For each, rate them from a 4–I’m great at this skill/subject and I love it–to a 1–I’m not very good at this skill/subject and I do not like it. Some teachers use a wider range such as an 8 pt or 10 pt scale. That’s fine so long as the range is an even number. Otherwise, students tend to choose the middle number such as 3 out of 5, or 5 out of 9.It’s also important to note that the score is far less important than if the student rated themselves in the top half or bottom half. This speaks volumes about their perception of themselves, which we’ll see repeated with the other categories to follow. When I learned that some of my students rated themselves low in my content area, that indicated that I would need to mediate their self-perception of their skills if I hoped for them to make a strong effort.Saving the best for last, this information informs on what academic strengths students may have. A student who struggles in Science or Math, but is average to good at writing, becomes the Writing Editor. Their job is not to write the papers or scripts. It is to facilitate the reflection and revision process that each person must do on their own work. Someone who knows social media or video recording becomes the Media Editor. Their job, through facilitation, is to help teammates evaluate how messaging is being effectively done of content to media. As you can see, each role has an academic responsibility. Their role is one of facilitation–monitoring and tracking their team’s work using the academic criteria list and/or guidelines (ex. rubric). The other corners are for tracking learning styles and personality inventories. Students use the 4 pt scale to self assess for each category. Teachers can choose any style/inventory that they find to best meet the learning needs of their students. It’s important to track at least two. This helps to avoid typecasting students into one learning container. Such as, John is a Visual learner. Well…that probably depends on the situation. More importantly, how would John rate himself. For each learning styles/inventory categories used, the teacher needs to describe them in terms that relates to students. For example, if I asked for directions to the nearest coffee shop, a visual learner would give directions as they saw themselves making the trip.I strongly recommend using the Internal and External reflection styles listed in the bottom right corner. Some people need to process their thinking along before they are ready to share or act. While others need to think aloud their ideas as means to make connections. The team make-up between these two styles can have positive implications when deliberately included in formation decisions. 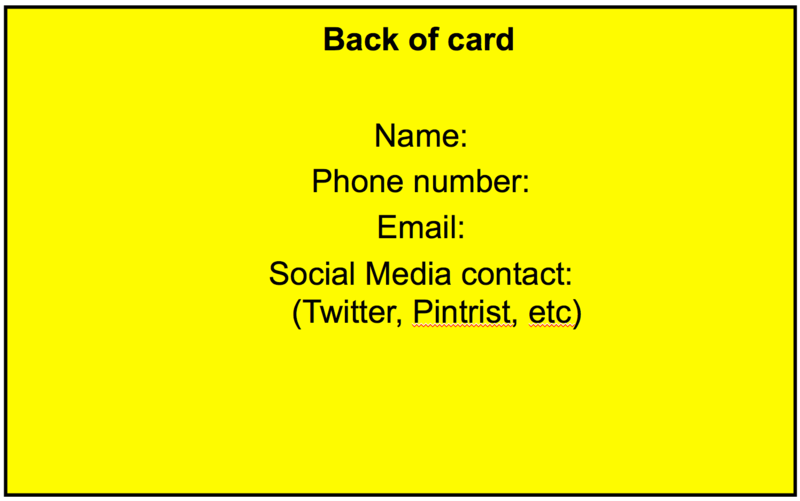 Once the students complete the cards, the teacher collects them to use for making teams and differentiating lessons and projects. Because the students completed them, teachers may add or update information on the cards based on observations. For early elementary students, teachers might bring in parents or student buddies from an upper grade level who acts as the younger students’ secretaries, and transcribe their answers. Thus saving time. Educator and life long learner. Exploring the many ways to advocate for student voice in their learning career. Passions: my family, writing, teaching, and gaming. You should not say learning styles. You should say learning intelligences instead; that’s more adequate. Could you share more about your thinking? I am surprised that you did not delete my comment. Since it took so long to moderate I was starting to get the impression that you deleted it because you did not like it. I was not going to follow, but that is not the case. Currently I am in the Masters of Education program at Concordia University, and we were assigned the task of choosing a myth to debunk. This is the link that students were prompted to explore. Here it is: http://www.scoop.it/t/debunking-brain-myths When scrolling down that page connected to that link you will find an article with Gerald Carey’s name on it titled, “Good Thinking!–Sending “Learning Styles” Out of Style. The writer (Jesse Singal) explained that there was no substantive evidence that an individual student’s success was predicated upon whether or not a teacher catered to the student’s learning ability without the student putting forth any kind of effort. This is what learning styles implies, and Singal says that despite that fact that learning styles have been disproven universities use this concept and educators use it too. Singal states that learning styles are a neuromyth. 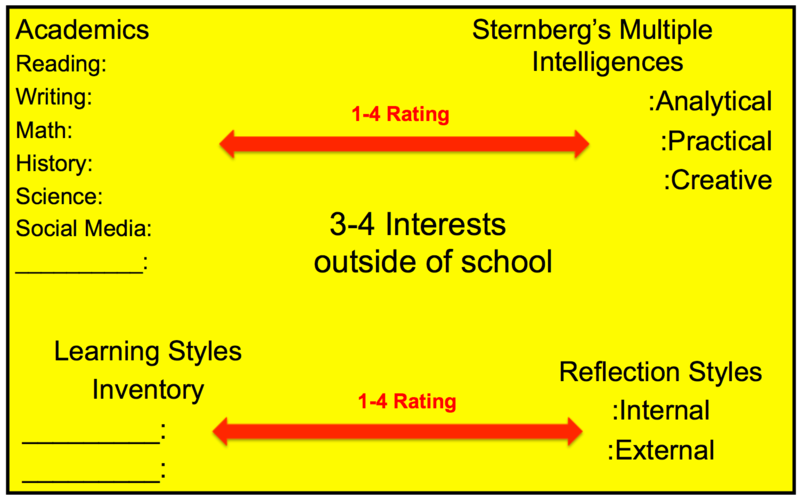 Initially I felt that it was nit picky, too technical, and I did not like it because it would mean that I would be wrong if I every used learning styles instead of learning intelligences. Later on I agreed with the term and the facts, but I still support learning intelligences, and I do believe that a student has to put forth effort in order to succeed. Besides that I am sincerely benefiting from your vitally helpful articles. Specifically I enjoyed the fifteen resources that were presented in the article 15+ Readiness Resources. I went on and on about how helpful these profile cards were in a discussion board forum. Please keep doing what you are doing. I made a mistake. There are number of learning style articles. The one written by Jesse Singal (not Gerald Carey) is titled, “One Reason the ‘Learning Styles’ Myth Persists”, not “Good Thinking!–Sending Learning Styles Out of Style. My apologies for the late response. I need to check my website’s system for sending me updates when someone posts a comment. I do moderate the first comment that some submits. My criteria is that it not be a marketing robot, nor use of foul language. Disagreements or differences of opinions are not excluded. They are welcomed 🙂 Once you’re first post clears, I allow your future posts to appear without moderation. I appreciate your thinking on the terms. I’ll take it under consideration. My first thought is that both terms address the same idea. This is my less (control) is more philosophy. But to a main point of your explanation, a real challenge for learning styles, learning intelligences, or learning preferences, is the mistaken notion that some educators have that any learner will thrive from personalizing a lesson or coaching to a single way of thinking, such as visual or kinesthetic. People are more complex than that. We embody several (or many if you prefer) learning styles/intelligences. Crafting a learning experience that includes several intelligence gives learners a multi-perspective view. Here’s what does not work. Lecture all the time. The single auditory approach simply is not helpful for all learners all the time. Combine lecture, with relevant videos, a processing activity every 5-10 minutes, and a pinch of think-pair-share will have greater value as all students will find appealing some part of the lesson. Although some will find the whole lesson appealing because of the mix.